Or maybe 2016 should have been "the dawning of the age of appliances". The washer died in 2015 so the other ones have probably been talking amongst themselves. I wound up replacing the fridge in September, but, before that, I had another, almost vital, appliance decide to misbehave. 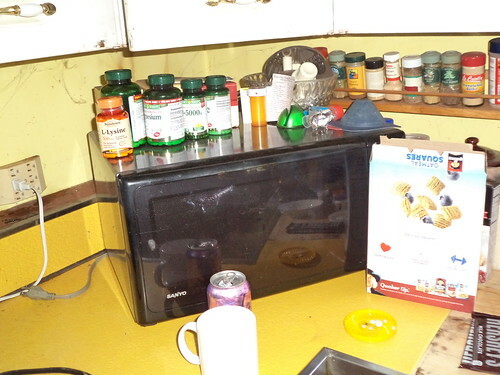 This microwave is beyond old, in terms of a countertop appliance. It was a family Christmas gift from a friend way back in the 1990's. 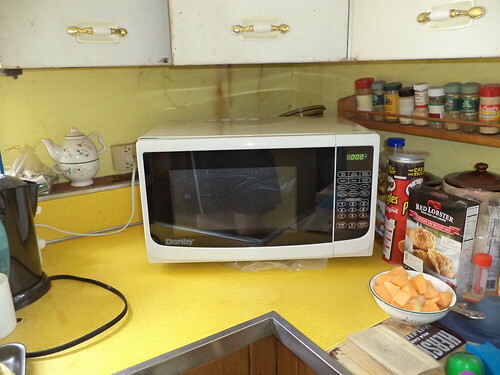 As microwaves go, it had probably been on borrowed time for over a decade. As nice as having a microwave is, I don't use it every single day. It's got great top space for storing stuff. Isn't that what fridges are for, as well? In July, right after I returned from my Virginia trip, the machine started going bonkers. It would shut off in the middle of heating something. I had to *gasp* do math to figure out how much time was left and redo the cooking process. Frozen meals were unevenly cooked or overcooked. Then, it started turning itself on, randomly. I wouldn't use it for a few days, be sitting in the living room, reading, and hear the microwave come on. This cannot be good. It was time to buy a new one. I had no idea of the wide variety in microwaves, mainly because the last one I bought was for work, back in 2000. It runs fine. I looked at Target and wound up going to Best Buy because I was completely confused. The gal who helped me was knowledgeable about microwaves; a feat which was impressive in and of itself. 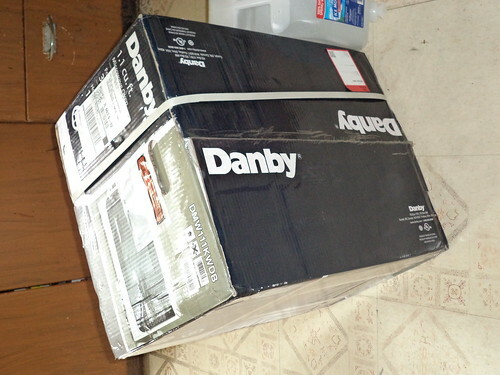 I came home with a giant box. The stock guy and I had a bit of a tussle getting it into the trunk, but it didn't fit very well on the back or front seats. Once we cleared the trunk hasp, it slipped right in. It was easier to get out of the trunk than to get in. Early August, I was back to a working microwave. It's the same size as the old one and, I think, easier to use. The control pad came with English terms but had a French overlay I could stick to the front. Yes, I was tempted, but knew there would be a time when I needed to heat something and wouldn't be able to remember which automatic setting was where. I have a feeling this is going to last me a long time, too. I prefer to cook on the stove, which is the only appliance not replaced in the last 2 years. I've said that three times now, so the beast will probably die this year; the year I'm saving for a monumental vacation. Oh well. I have my storage space back.